Why, what a cute little bowler hat, Alexia! And, although I just love the picture of the Sphinx in the background, I do wish it had shown up in the novel…a mere reference to the Valley of Kings is not cover picture worthy! I liked the premise of moving the characters to Egypt for a change of pace and found some of the newly added elements refreshing to a plot growing somewhat stale. I particularly enjoyed the surprising progression of Prudence’s abilities, Biffy’s romance and evolution within the pack, the cover story which leads Ivy’s acting troupe to accompany the Maccons on their journey, and the eventual transfer of Hatshepsut’s powers to the new hive queen. I was a little annoyed by the whole kidnapping plot which seemed weak and too convenient. 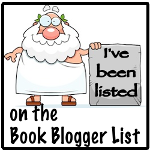 I also found a few typos which irritated nitpicky me…the most noticeable of which occurred when the author mentioned one of Alexia’s sisters and changed the spelling of her name (and also neglected to mention she had gotten married); this was annoying. I’m calming all my debilitating angst by telling myself this was merely an editing issue in the Kindle ebook version, so don’t anyone dare tell me otherwise! 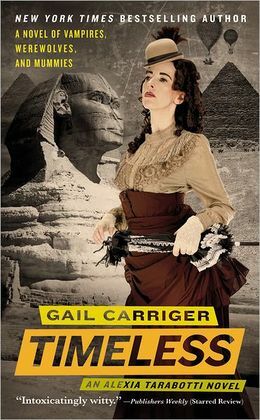 Essentially, Timeless seems to wrap up the loose ends from the prior novels. This seems appropriate as I cannot see where else this one could go. It resolves most of the outstanding issues with the more puzzling characters (Floote, Alessandro Tarabotti, Madame LeFoux, and Lord Akeldama), provides promising glimpses for what the future may hold for most of the main characters, and solves most of the remaining mysteries. I’m ready to put this one to rest, but by and large, I would have to say I enjoyed it. She then developed a bad case of the hiccoughs, because, as she could only surmise, the universe was against her retaining any dignity whatsoever. This entry was posted in Fiction, Paranormal, Pretty Covers and tagged alexia tarabotti, parasol protectorate, preternatural, steampunk. Bookmark the permalink.